Most of your earlier books take place in urban environments and deal with race and culture. What’s with the mountain adventure novel? I love mountains and wilderness as much as I love the city, and I’m a big fan of adventure and survival stories. When people’s lives are at stake, you get to see who they really are. Besides, questions of race and class don’t disappear when you go from urban settings to rural ones. In some ways, they may even be more heightened. Lost Canyon has four main characters, from different parts of Los Angeles. Are any of them you? There’s a bit of me in all of them. Todd, the white lawyer, lives a life of luxury on the Westside, but his roots—like mine on my father’s side—are blue-collar Wisconsin. Oscar, like me, lives in Northeast L.A., and is ambivalent about the area’s rapid gentrification, which is pricing out Latino families—including his own. Gwen is an African-American youth counselor who works in Watts; I too work for an organization that serves low-income kids. And Tracy, their trainer and group leader, shares my own racial mix—half-Japanese and half-white—although I hope I don’t share her recklessness. Each of them, for different reasons, decides to go on a backpacking trip to the Sierra Nevada. This group encounters a whole slew of misadventures and shady characters. How did you come up with the story? I had them encounter every mishap I’ve ever had in the backcountry—and then every mishap I’ve ever worried about having. And through the course of their encounters—with other people, and with each other—they grapple with issues of race, class, the strengths and limits of the body, drug production, and white supremacy. Do all of these people and topics belong in the same book? Why not? They all exist in the same state. The backpackers deal with storms, wildlife, harrowing steep trails, hunger, and exhaustion. Reading this, I wonder: why should I go outside? Because it’s glorious out there. There is so much truly jaw-dropping, unbelievable beauty in nature. And it’s good sometimes to be in a landscape that reminds us that our problems—and our lives—are transient. When you’re in nature, you’re a small part of a much larger world—and whether you’re agnostic, atheist, spiritual, or religious, there’s something really powerful in that. And maybe it’s not the mountains that excite you—maybe it’s the desert, or the swamps, or the plains. Maybe it’s things that are smaller in scale but no less miraculous. There are gorgeous bits of nature everyone, including in the hearts of our cities. What’s the weirdest thing you’ve seen in the wilderness? I was on the High Sierra Trail, taking shelter under a cover of trees during a long, violent thunderstorm. While my buddy and I were standing there, we saw a deer swept over a 200-foot waterfall—a bank must have given way upriver. Then we saw a giant bear retrieve the carcass from the bottom of the falls and drag it awkwardly up the mountain. It was surreal. We were standing with two young guys who were visiting from the east, and they looked like they were about to start running for home. Hence my question about why I should go outside. Your last novel, Wingshooters, featured an English Springer Spaniel. There’s a Border Collie in Lost Canyon. Are these fictional dogs based on your own dogs? Absolutely. Our Border Collie was jealous that my last book featured a Springer, so I wrote her into the new one. If you know anything about Border Collies, you know it’s best to do what they say. Do you use any of your backpacking or climbing gear in everyday city life? I use my headlamp sometimes to walk the dogs at night. But I wish I had a reason to carry my ice axe. It’s just a very cool piece of equipment. I’ve loved them all for different reasons—and there are many more I want to do. But probably my single best trip—for the solitude, the physical challenge, the views, and the euphoria—was climbing Mount Shasta. It’s just a very special mountain—some Native American tribes believe that it’s the center of the universe. It’s a 14’er, glaciated, and surrounded by wilderness. And I got to use my ice axe. 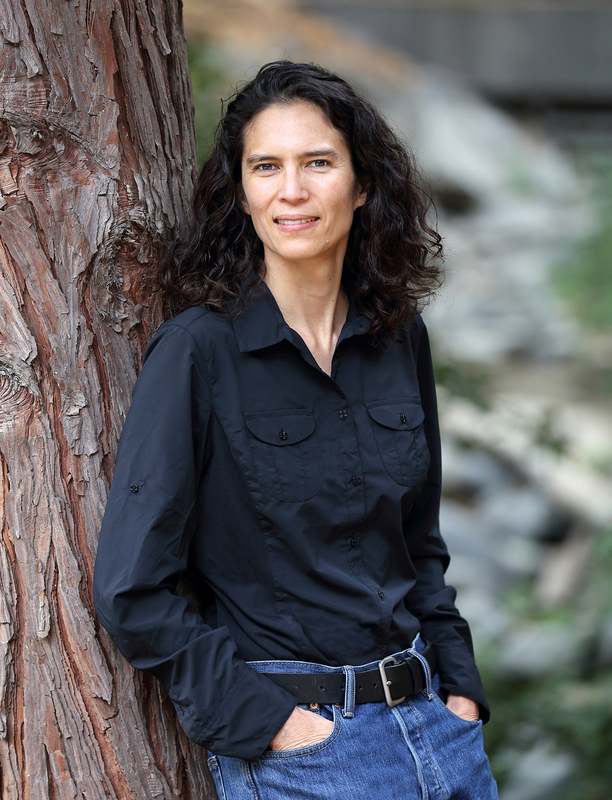 NINA REVOYR is the author of Lost Canyon (Akashic Books, August 25, 2015). She has published four previous novels, including The Age of Dreaming, a finalist for the Los Angeles Times Book Prize; Southland, a Los Angeles Times bestseller and “Best Book” of 2003; and Wingshooters, which won an Indie Booksellers’ Choice Award and was chosen by O, The Oprah Magazine as one of “10 Titles to Pick Up Now.” She lives in Northeast Los Angeles and is Executive Vice President and Chief Operating Officer of a large, nonprofit organization serving children affected by violence and poverty in Central and South Los Angeles.